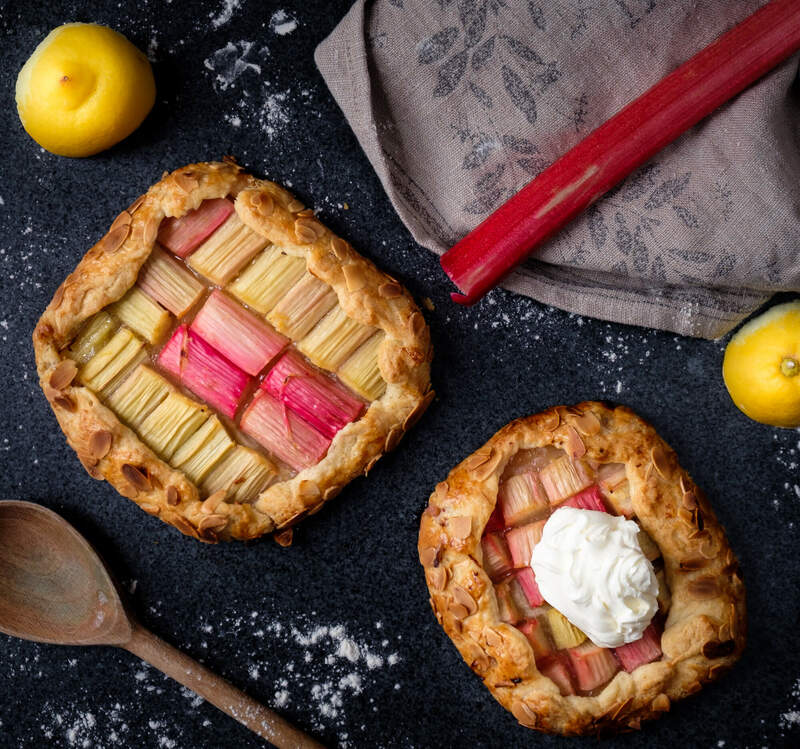 The rhubarb season is here and what could be better than making a delicious and beautiful Rhubarb galette with mascarpone cream. I added a touch of lemon to the rhubarb which came very nice. I also decided to serve the galette with a mascarpone cream with a hint of vanilla which was a perfect combination. Easy to make and one of my favorite desserts during the summer! Summary: A crunchy rhubarb galette with a touch of lemon. Very easy to make and absolutely delicious. Slice the rhubarb and mix with lemon zest and juice, sugar, vanilla sugar and potato starch in a bowl. Let it sit for around 10 minutes. Add the rhubarb on top of the dough and don’t forget to leave a border of 3-4 cm around the dough so you can fold it later. Fold the dough over the rhubarb. Bake for 35 minuter in 200 Celsius degrees. Whip cream, mascarpone, vanilla extract and icing sugar to a smooth mixture.